The Bend Paddle Trail Alliance, or BPTA, is a non-profit organization devoted to the preservation of the natural beauty of the Deschutes Paddle Trail. Inspiring visitors with its unique geology and natural beauty, the Deschutes Paddle Trail provides access to and information about nine of the High Cascade Lakes as well as stretches of the Little Deschutes and Deschutes Rivers within Deschutes County. 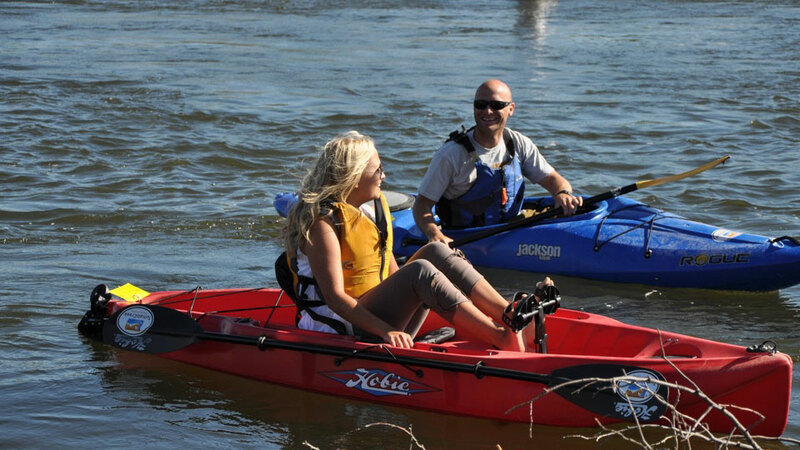 It is BPTA’s mission to promote and establish a navigable paddle trail within Deschutes County that will enhance river and lake recreation and appreciation for a wide variety of recreational water enthusiasts while promoting water safety, education, and stewardship. Bend’s Whitewater Park is the result of over a decade of fundraising by BPTA and a strategic partnership with Bend Parks and Recreation District. The Miller’s Landing Project also served to provide access to the river, connectivity to the River Trail system and other passive recreational opportunities. They also host the Annual Pickin’ and Paddlin’ cult classic community concert series with Tumalo Creek Kayak and Canoe to raise funds for BPTA.